The guitarist is sharing audio of “Catch The Blues” and videos for “Spiral” and “Can’t Let You Do This” from the record, which hits stores on May 20. The project sees the guitarist reunite with “Slowhand” producer Glyn Johns. 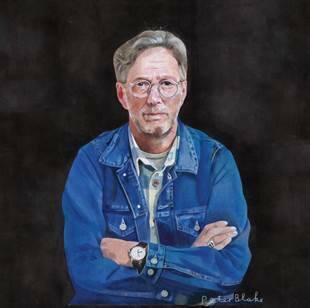 The follow-up to 2013’s “Old Sock” mixes Clapton originals with covers and was recorded with many musicians who have worked alongside the guitarist throughout the years. “I Still Do” follows the 2014 chart-topping collaborative album, “Eric Clapton & Friends: The Breeze, An Appreciation of JJ Cale”, which saw the guitarist work with Tom Petty, Mark Knopfler, John Mayer and Willie Nelson and others. 02. "Can't Let You Do It"
03. "I Will Be There"
07. "Little Man, You've Had a Busy Day"
08. "Stones in My Passway"
09. "I Dreamed I Saw St. Augustine"
12. "I'll Be Seeing You"